Available in the Polliwog Place Store on Teachers Pay Teachers. Visit today to learn more and see the free preview. 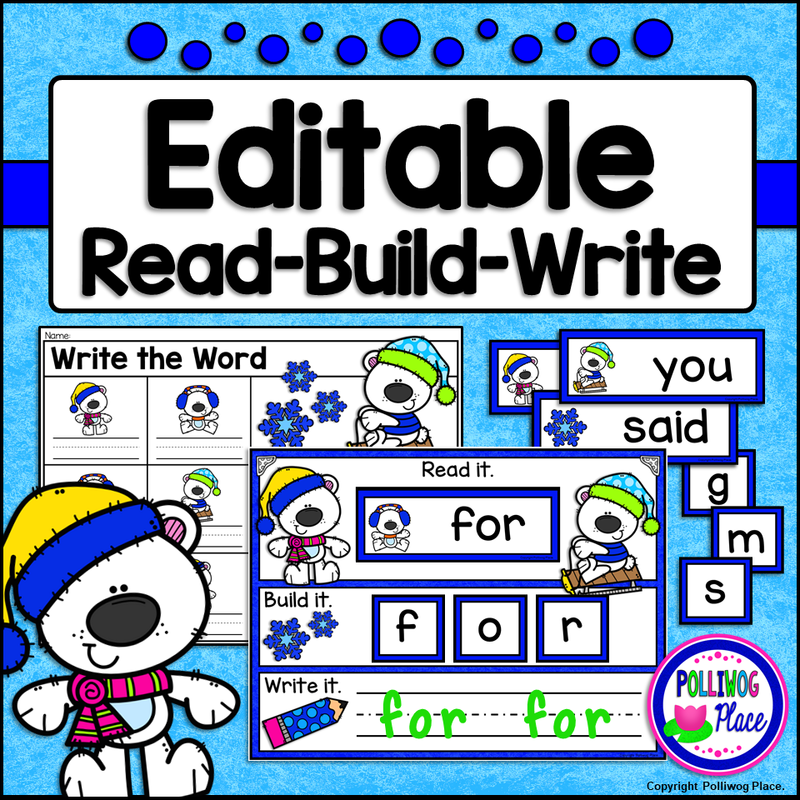 This Editable Winter Bears Read It, Build It, Write It activity is a fun and engaging way for students to focus on reading and writing sight words. 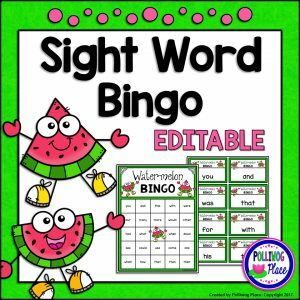 The word list is editable, so you can customize the cards with your own sight words, CVC words, or any other type of word list your class is studying. How it works: Students choose a word card and place it at the top of the interactive word building mat. They read the sight word on the card. Next, they build the word with using the included printable letter tiles. You could also provide students with magnetic letters, wooden letter tiles, or any other small manipulative with letters. Finally, students use a dry-erase marker to practice writing the word. Extend the writing practice with the optional recording page. This is a low-prep activity. 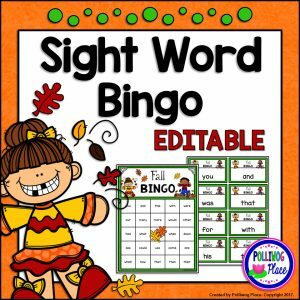 The word cards are pre-filled with a set of 24 sight words. Keep or change them if you wish. Then, simply print and cut apart the cards. 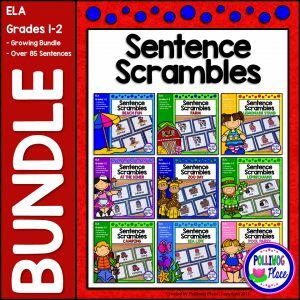 The word building mat and cards come in both color and black lines. 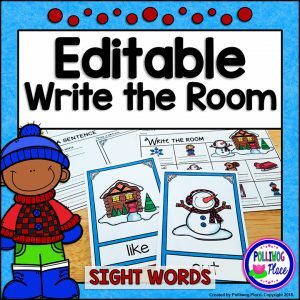 Use a sheet protector or laminate the mat so it will work as a write and wipe activity. Provide students with a dry erase marker and you are ready to go. Read more and see the free preview.